Although advanced scientific models can better detect the severity of an upcoming El Niño, preparing for the impact of each episode remains a recurrent challenge for many Latin American countries. El Niños change rainfall patterns in ways that result in extreme flooding in some regions and droughts in others, affecting food and energy production and other economic activities. In July 2015, satellite and computer modeling predicted that an “extraordinary” El Niño would likely strike in six months – and although not record-breaking, this episode has wreaked havoc in parts of Latin America. Citizens below the poverty line tend to be hit hardest, as many live on lands vulnerable to natural disasters, such as landslides and flooding, and rely on subsistence agriculture that cannot withstand weather shocks. Studies by climate and atmospheric scientists argue that El Niños will become more frequent and severe in future years due to rising levels of greenhouse gas emissions, increasing the urgency that governments build resiliency against the associated flooding and droughts. Peru has been particularly affected by this year’s ongoing El Niño, especially in the northern coastal zone. As warming in the middle of the Pacific Ocean causes less upwelling of nutrient-rich waters, fish stocks have declined, damaging an industry upon which Peru relies for 2 percent of its GDP. Extensive agricultural losses also result from changes in ocean currents and wind patterns that cause droughts in the southern part of the country and a spike in rainfall in the north. Severe flooding is already having a detrimental impact; local media report that in the Tumbes area, in northwest Peru, 3,000 people have lost their homes and 30,000 have been affected because overflowing rivers have washed out bridges and devastated houses along river valleys. Landslides have devastated dwellings constructed on the steep, marginal land on the outskirts of cities or in river valleys. Other parts of Latin America are also affected during El Niño. In Central America, the warm Pacific Ocean temperatures are exacerbating existing droughts, which have reduced agricultural yields, while excessive rainfall on the east coast wipes out bridges and houses. The Andean and Amazonian regions have seen reduced rainfall, leading to worries about forest fires in the rainforest. The La Plata River basin is getting abnormally high levels of run-off. With proper warning, governments can take action to mitigate the damage of El Niños. Receiving predictions last July, Peruvian President Humala declared 14 regions in a preemptive state of emergency and called for preparations. It is still too early to tell how much these measures have helped, but there is little debate that some preparation is better than none. Local officials held planning meetings, and the national government provided funding for citizen programs – such as warning the population to move away from flood and landslide zones, and building infrastructure’s ability to withstand flooding and landslides. In Piura, for example, they dredged part of the river and built diversions to direct water away from populated areas. Given the predictions that El Niños will continue and worsen in severity, governments need to start thinking about long-term solutions and preparations. Rather than last-minute preparations, however, governments could consider proactive measures such as conserving or constructing mangroves, wetlands, and riparian buffers that can naturally mitigate flooding; promoting crop diversity with drought-resistant strains; or harnessing water surges for benefits such as aquifer recharging. Better planning could help Peru and other countries weather future episodes with less emergency scrambling. *Abby Lindsay is a PhD candidate in International Relations at the School of International Service. Her dissertation research focuses on global environmental policy, particularly water governance. The Trans-Pacific Partnership (TPP) agreed to on October 5 is drawing both praise and criticism, but approval by legislatures in some signatory nations – particularly the United States – is not a foregone conclusion. Negotiators representing the 12 Pacific-rim countries involved – including Mexico, Chile, and Peru – hailed the agreement as historic. It is a far-reaching agreement that will expand countries’ access to a combined market that represents about 40 percent of global GDP, with 800 million consumers. It seeks to reduce tariffs – including 18,000 on U.S. goods alone – and lower non-tariff trade barriers as well. The negotiators claim the accord also creates a fair compromise framework for protecting intellectual property rights; adopts the strongest-ever labor and environmental protections; and in a novel feature, establishes assistance for small- and medium-sized businesses to navigate the complex regulations and red tape involved in trade. Communist Vietnam is a party to the agreement. El Comercio (Peru) wrote that the TPP will help companies to establish better partnerships with the U.S. and Canada, and to create value chains in which Peru will buy commodities from one country, process them, and sell the resulting product to another. How that long-sought and developmentally imperative objective would be achieved through TPP remains vague, however. El Financiero (Mexico) similarly portrayed the agreement as a means to increase production and foster the specialization of economies. Other Mexican commentators, however, reminded readers that NAFTA and other agreements have not brought the expected results; previous accords have undoubtedly boosted Mexican integration into global and regional manufacturing networks but have actually hurt the agricultural sector – accelerating decades-long migration from the countryside to cities and to the U.S.
Mexican and Chilean experts on the pharmaceutical industry, along with Australian and Asian counterparts, claim that TPP provisions on intellectual property will hinder the generic medications sector. They are concerned the accord will allow large U.S. multinationals to expand into markets with products that cannot be replicated for extended periods time. Chile had negotiated aggressively against Washington’s efforts to transplant its laws providing 12-year monopolies to manufacturers of biologic drugs – compromising on a five‑year period extendable under some conditions to eight. The Fundacion Equidad Chile warned that the agreement could cost its health sector about $540 million year more due to such provisions. Details of the agreement will be made public in coming weeks. While criticism of the secrecy surrounding the accord will naturally fade, substantive debate on its provisions will almost certainly increase amid expensive campaigns by policy advocates on both sides pointing out flaws both real and imagined. But opposition seems relatively weak in the three signatory countries in Latin America, and ratification there appears likely. Chile has long been the region’s champion of free trade, and Mexican technocrats appear convinced that trade is key to the country’s eventual graduation to high-income status. With the commodity boom waning, Peru is counting on TPP to open avenues into a broader array of industries. In the U.S., however, the path seems rockier. Congress gave Obama “fast-track” authority, which will allow him to submit the agreement to an up or down vote without congressional amendments that would rip it apart, but criticism of TPP persists. Some argue that it strengthens ties with Asian countries with bad records in environment, human rights, and labor laws. An odd twist to the domestic landscape came from presidential aspirant Hillary Clinton, who added her voice to the opposition – putting her on the same side, albeit for different reasons, with Republican opponents who have called TPP a “bad deal.” President Obama will have to work hard to sell this new trade agreement to Capitol Hill and the nation. Cuban President Raúl Castro is undoubtedly as serious about normalizing diplomatic ties as President Barack Obama is, but the island’s government arguably faces more pressing challenges than working out the details of a rapprochement with Washington. Commentators have observed that after the initial euphoria following the December 17 announcement, officials now speak of a long road ahead. Full normalization, while welcome, is not the foremost concern of Cuban policymakers. 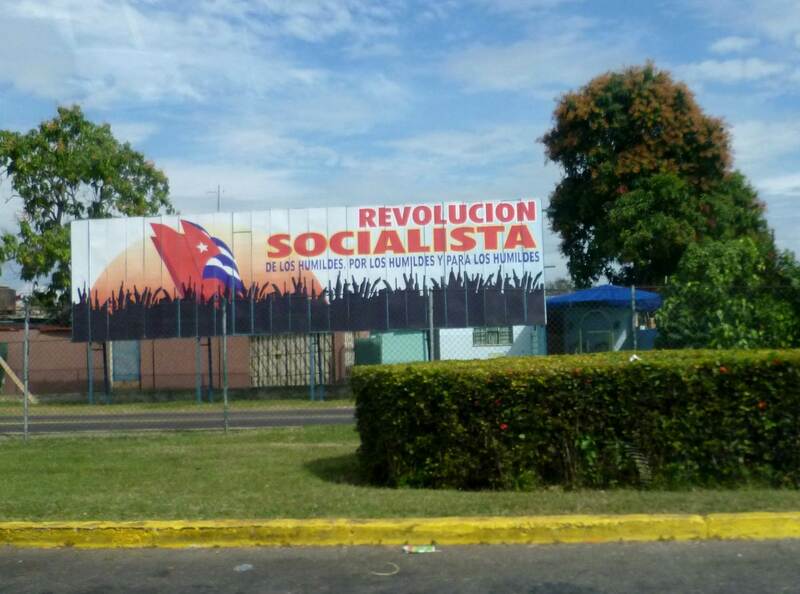 The paramount objective of Cuban authorities is the survival of the revolution and the one-party state that it engendered. Top diplomats reiterated on January 23, after the first round of talks in Havana, that there will be no concessions to continued American insistence on changes in Cuba’s domestic political arrangements. Economic revitalization is imperative. Despite the reforms introduced by Castro, the Cuban economy remains woefully unproductive, incapable of meeting the needs of its citizenry or generating the foreign exchange that any small island developing state requires to import goods that it cannot produce domestically. Growth rates are anemic, reaching only 1.3 percent in 2014, and independent projections call into question last month’s official announcements predicting 4 percent expansion during 2015. Agriculture remains stagnant despite reforms aimed at putting fallow lands to productive use, so imports of food account for $2 billion in the extremely tight state budget put forth for 2015. The severe shortage of cash, moreover, impedes public investment in Cuba’s crumbling infrastructure, which hinders autonomous producers from securing vital inputs for their businesses or distributing what they produce. Ideally, foreign investment would supply resources where domestic sources cannot, but for the most part this is not happening either. A 2013 foreign investment law has to date yielded little fresh capital: European and other investors with experience on the island explain privately that the conditions for conducting business are such that they are reluctant to commit good money after bad. The new changes in U.S. regulations may produce some increase in investment flows – primarily in the form of remittances from Cuban Americans to families and friends – and thus continue to provide some economic oxygen, but the likely scale of these flows should not be overestimated. Washington’s new regulations seem likely to continue blocking investments that could increase the Cuban state’s ability to develop the infrastructure necessary to promote economic growth. Because the intertwined goals of state security and economic revitalization are paramount, Havana’s engagement with the United States will be conditioned on its compatibility with those objectives. Critics of the American opening who lambast Barack Obama for acceding to a deal with minimal Cuban concessions are right that Havana did not abandon its position that its political system is non-negotiable. If by joining the rest of the western hemisphere in acknowledging the Cuban state Washington embarks on a path that will fuel economic activity in Cuba, the two countries will proceed, however gradually, away from confrontation. The trajectory of U.S. relations with China and Vietnam in recent decades offers an instructive precedent for how this can be achieved and be mutually beneficial. But if the Americans perceive greater engagement with Cuba as a tool for regime change, or strive to limit financial flows exclusively to private actors, their Cuban counterparts naturally will limit the scope of interaction. A new round of State Department solicitations for bids to conduct democracy promotion activities in Cuba, like the U.S. negotiators’ insistence last week on getting a photo-op with dissidents before heading back to Washington, suggest that this message has yet to be absorbed by American officials.